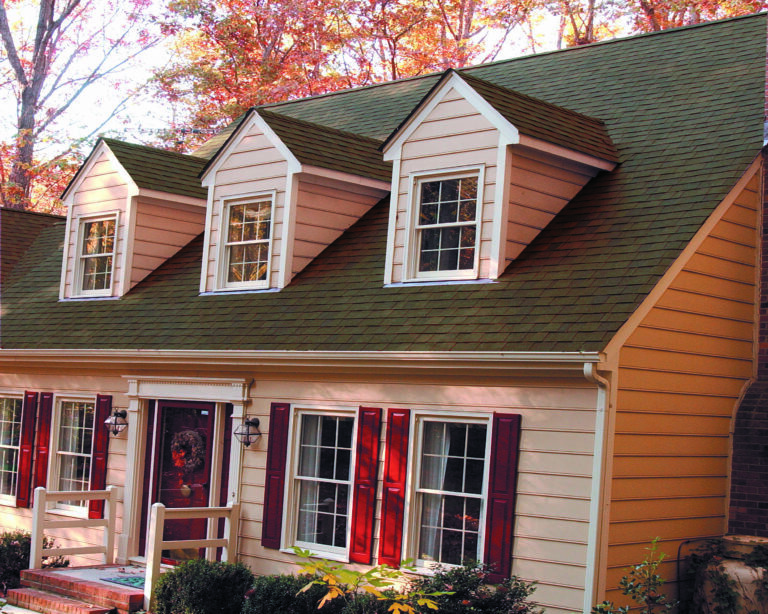 If you’re doing your own siding installation, you’re going to need to know how to cut it to fit your home. This is a very simple thing to do, and only requires a few tools. We’ll explain how to cut vinyl siding neatly and cleanly. Which type of tool you use to cut your vinyl siding depends on how many cuts you’re going to make and what kind of cuts they are. If you’re making short, vertical cuts, it’s best to use a circular saw. Use a measuring tape to determine how long you need your siding pieces to be, and mark each piece on its underside (so you won’t see it when you install it) with a marker. Fit your circular saw with a fine-toothed plywood-cutting blade (installed backwards for the cleanest cuts). Put on your safety goggles, then line up the place you want to cut on your siding with your blade. Use the edge of your table as a guide and slowly saw off the excess siding. To make the cut even more accurate, you can put a carpenter’s square underneath your siding strip. Repeat the process until all of your siding pieces are cut. If you’re cutting longer vertical cuts, we suggest using tin snips instead of a circular saw. Use your measuring tape to determine where you want to cut your vinyl siding, then mark the siding on its underside with a marker. Line up the place you want to cut with the edge of your table and use a carpenter’s square to ensure you make a clean, straight cut. Snip through the siding until the end, then repeat with your other pieces. Horizontal vinyl cuts can be a little long for tin snips, so instead, you can use a regular utility knife to make things easier. Use your measuring tape to determine where you want to cut your siding and make a mark on the underside at each end. Then, place a straightedge on your siding to mark where you want to cut it. Use your knife to score along the straightedge (scoring means pressing down on the knife with medium pressure, but not cutting through all the way). Once your piece of siding is scored, you can bend it along the line until it snaps clean. Repeat with your other pieces of siding.